As the ominous clouds of finals season begin to make their way towards UBC’s unusually sunny campus, students and music enthusiasts alike spent last Tuesday not hunting down rapidly dwindling study space at Irving K. Barber but at the Pit for a night that I can only describe as a marvellous fusion of heavy metal, alt-rock, blues and gloomy tunes. Oh, and there was $4.75 craft beer. 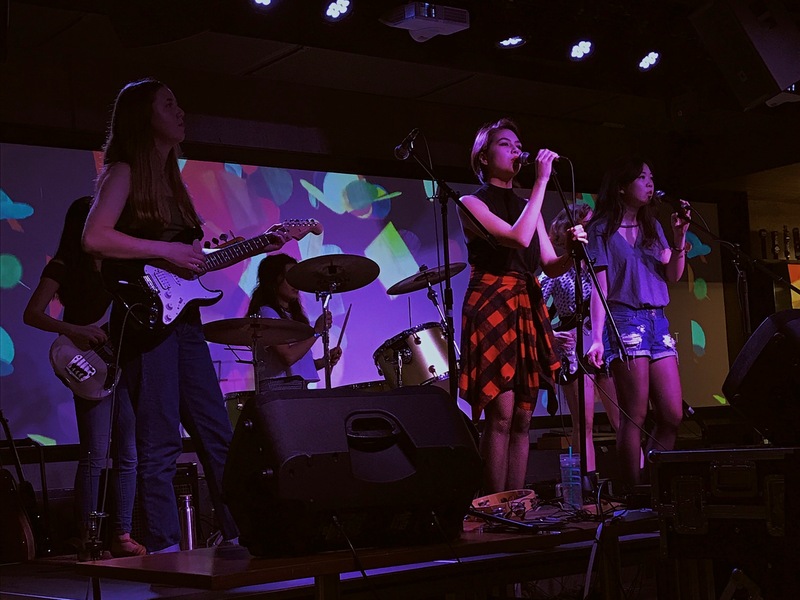 Tuesday night was Blank Vinyl Project’s (BVP) second-biggest event of the year — Band Wars. 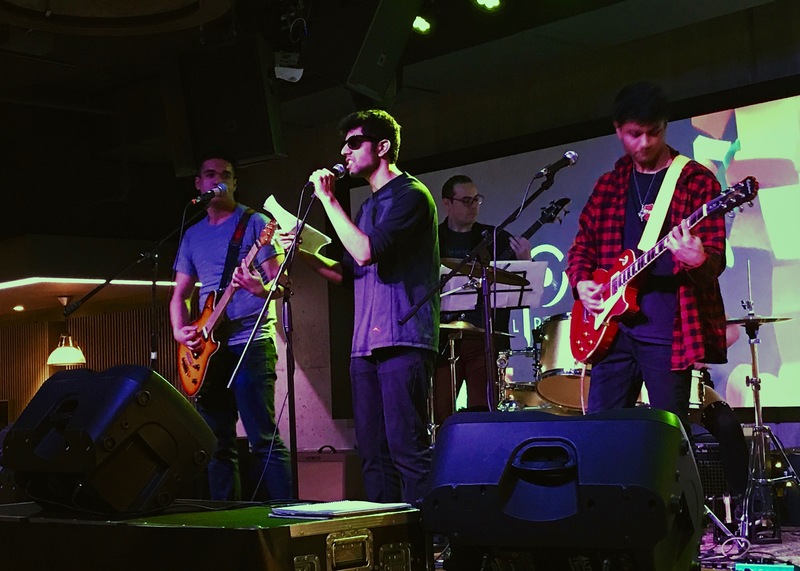 Four bands, three of which were freshly baked this past year in BVP’s musical oven, duked it out to score an opportunity that is sure to make any musician’s mouth water — a chance to perform at UBC’s only music festival and BVP’s biggest annual year-end event, Goosehunt. This year, the honour was scooped up by 7th Row, who came in second place at last year’s Band Wars. The night featured a lineup with a wonderful array of genres. From 7th Row’s refined heavy metal, post-punk riffs to The JRMS’s mellow Black Keys-inspired fusion of blues and alt-rock, there was something for everybody who entered the doors of the Pit. 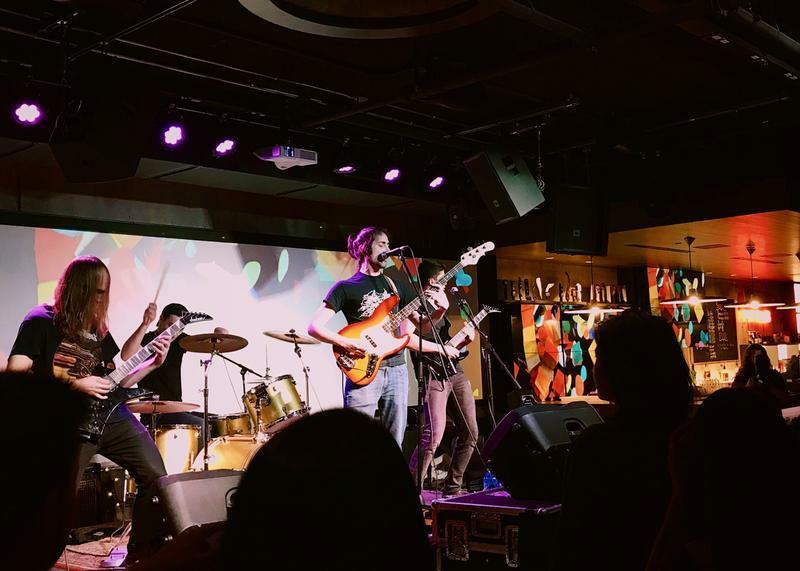 “They had this like ‘free agents’ where they just kind of stuck a bunch of people randomly together and tried to form some bands based on musical styles, like what instruments people play,” McGinnis said. “I think a lot of us played music on our own separately, but wanted a reason to play with other people. So BVP was a cool opportunity, for sure,” said Maya Redlinger, the electric bassist of Death By Daisies. For a membership of only $20, or $10 per semester, the tradeoff for meeting like-minded individuals is miniscule. The beauty of Build-A-Band? It doesn’t matter what genre of music you find yourself jamming to the most. 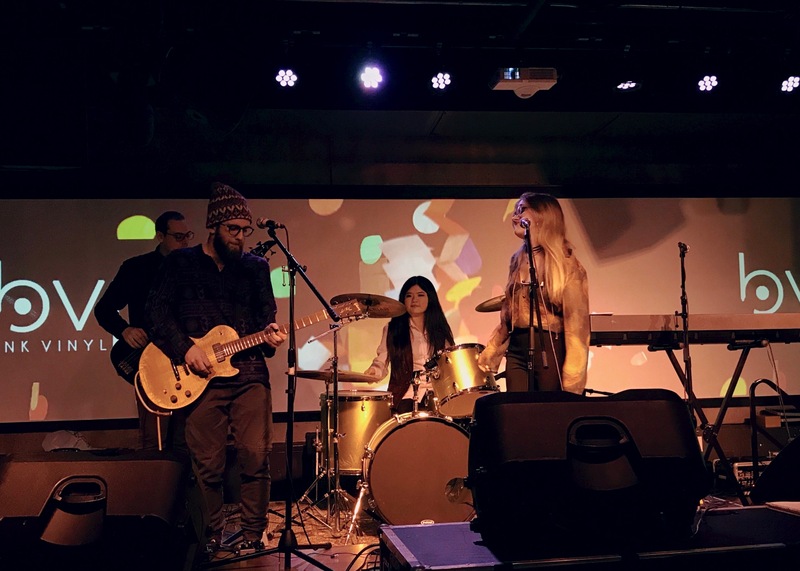 Build-A-Band enables its club members, who all have different tastes in music, to come together and create music, plain and simple. “We all sort of have different genres that we’re really into, so when we’re writing songs they come out mixed depending on who wrote it … they’re all kind of different,” said Hayes. “I think each of us have really different tastes in music, which kind of like, makes it come together in an interesting way,” said McGinnis. I came to Band Wars to get boozed on whatever beer had the highest ABV (alcohol by volume) and dance with others who also share my philosophy of getting plastered at music shows. I was not at all disappointed. The overall vibes being emitted from the crowd that night were infectious — as in I could barely keep my knee from bopping up and down and failed to restrain myself from ordering way too many sleeves of IPAs. Despite the fact it was a Tuesday night, it was packed in the Pit. In the face of finals, people still managed to find a reason to keep moving their feet to groovy tunes. Everyone seemed to be generally enthralled with their fellow students’ music, myself included. People’s dance moves that night ranged from grooving to the Blink-182 inspired tunes of fate fell short to moshing to 7th Row’s heavy rock, which was egged on by their nimble fingered guitarist Amir Mojtahedzadeh. “People were moshing to us last year, so I’d like to see you guys do that again tonight!” said Mojtahedzadeh to a crowd of 20-somethings who roared in response to his request. They followed through — albeit in a bit of a gentle, overly Canadian way.